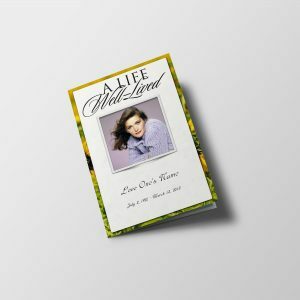 Custom Funeral Program Cover are created based on your personal specifications. 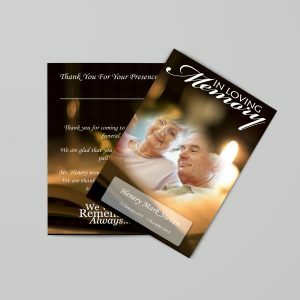 Instead of preset fonts, images and captions, you can choose almost all elements of your funeral program. Choosing your own options will allow you to make your program unique and personal. Various elements can be changed and added to make your program as unique as your family member. 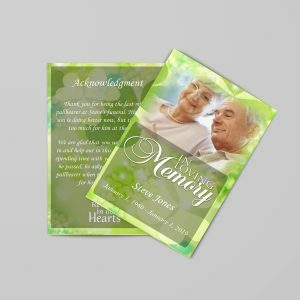 Here are a few elements that you can change to make your Custom Funeral Program Cover, keepsake or memorial card special. Photos — Photos are the main element that helps give the “custom” program look and feel. 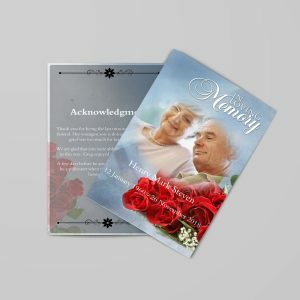 Family photos is probably the most important customization element on programs and booklets. 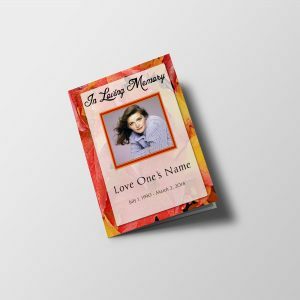 Cover photos can be retouched and cropped, and family photos can be put into collages and frames. Everyone loves photos of their family member’s life. 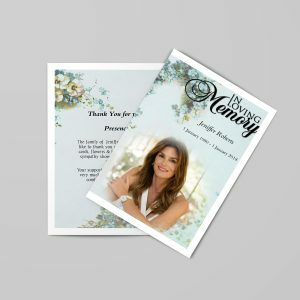 Layouts and Paper Sizes — Custom funeral programs, Custom Funeral Program Cover, folders and booklets can come in a wide range of sizes and layouts. Bifold, trifold, step or graduated folds, different orientations and paper sizes. 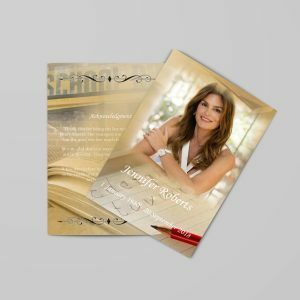 Choosing a unique paper size and layout can help make your program interesting and different. Fonts — You can change font sizes, colors and styles. Choose a fancy script for an elegant and formal look, or a block style for a more casual feel. Colors — If your loved one had a favorite color why not incorporated it into your program. 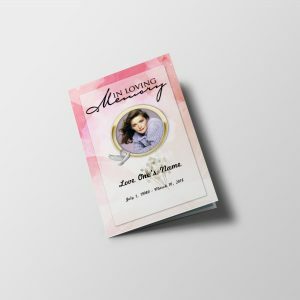 Also, some funerals, memorials or celebration of life services sometiems have a color theme. You can make your program colors match the theme of your service. 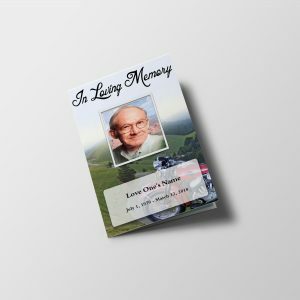 Background Image — A variety of background styles can be used on your custom funeral program. 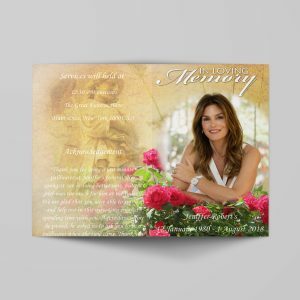 You can choose from nature and flower themes, patriotic backgrounds, religious symbols just to name a few. You can also use a photo as the main background image to make you program more personal. Additional clipart and images — Feel free to incorporate additional visual elements to add style and personal touch. Crosses, butterflies, flowers and many other images can be added to your program.